Belize has been on the right path where sustainable energy is concerned. By 2015 51.6% of our energy was generated from ‘hydro’ and 5% was from ‘biomass’. That’s highly respectable relative to the region. The new path – according to the national sustainable energy strategy – points to more self-sufficiency and renewable generation. On a more local level, homeowners, business owners and anyone really – you – can be a part of the energy transition. After all, energy management is every Belizean’s business. So why energy efficiency (EE) or renewable energy (RE)? Well different reasons apply… and overlap as well, but the short answer revolves around the 3 Ps: people, profit & planet. Let’s break that down. ‘People’ refers to improving human welfare. The sustainable energy industry along with spinoff industries employ more and more people everyday. ‘Profit’ is rather straightforward since cutting energy consumption means savings on what we pay to the utility company. ‘Planet’, perhaps the ultimate ideal, espouses the respect we have for this galactic speck we call earth. Energy conservation equals carbon emission reduction – that’s about the simplest math around. Yes, sustainable energy is about investments – that pay for themselves of course – and that endure. are taking root in what is a blossoming niche market. On the ‘efficiency’ flipside more efficient air conditioners are becoming available so much so that we are now even seeing “super” inverter air conditioners and LED lighting is becoming more ubiquitous by the day. All great options that should be weighed within the context of our investment plans. Yes, sustainable energy is about investments – that pay for themselves of course – and that endure. In some cases EE and RE investments carry a payback period of, get this, 6 months. Feeling shy about investments? Don’t worry, energy experts are about and institutions like the DFC are now ‘bank rolling’ borrowers with low interest loans and even unheard-of ‘100% financing’. How do home AND business owners kick off the process? It starts with a simple survey called an energy audit. This is usually done by a knowledgeable person who, simply put, evaluates how much energy your home or business can save. Usually it’s a lot. So whether you’re thinking of installing solar water heaters or retrofitting energy ‘hoggish’ lamps or ACs there are private professionals – most of them are DFC partners – that can provide the hand-holding for you to understand the technology options available, life expectancy of different systems, installation considerations and how you can best leverage an investment to mitigate your electricity costs or gain a competitive advantage. Smart energy meters that, through the use of an online platform, give you real time energy data come to mind! In the end if you take away nothing from this piece DO note this: aim high. Investments in EE and/or RE will only ‘pan out’ if you deal in quality goods and reputable contractors. Not only is this a condition of the DFC but also it’s simply the smart thing to do. Don’t forget, you get what you pay for. My parting shot? Take a good look around and you’ll see the transition taking place in both private and public sector. My thoughts make a bee line to The Biltmore Best Western who has turned to LED for almost all of its lighting and the newly-built Sarteneja Polyclinic which relies fully on solar water heating. They’re winning. You should be winning too. 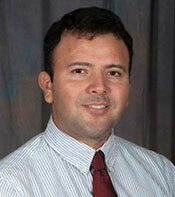 Rojer Espejo is the Managing Director of Energy Management Ltd., Belize’s First Energy Services Company (ESCO). Our vision is to deepen Belize’s understanding of energy efficiency (EE) and our mission is to reduce our clients’ energy demand through innovative EE measures.